Lendlease, the construction management company supervising the new Delaware County Courthouse project, is now forfeiting $3,000 per day in liquidated damages to the county due to missing the July 31 completion date for the facility. 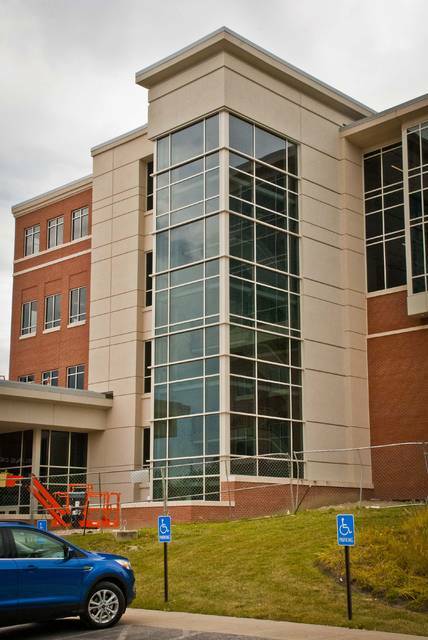 The original completion date for the $39 million building was June 30. Currently, the cost of the project is $184,500 short of the guaranteed maximum price of $39 million. County Administrator Ferzan Ahmed said he and Melvin have been working with Lendlease on a substantial completion date of the facility. “There is no reimbursement when the substantial completion date is agreed upon to be extended,” Melvin said. Ahmed told county commissioners Monday that Lendlease is claiming a labor shortage has slowed the progress of the completion of the building. The company showed Ahmed its payroll information to back up the claim. Ahmed said company officials told him that they have tried everything to keep people on the job. He emphasized to the commissioners that the county can only recognize the labor shortage if there is evidence of an industry-wide shortage. “It’s still up to them to prove to us contractually,” he said. Ahmed said that Lendlease has been told that the county will not extend the contract completion date. However, he said he had advised the company if it is able to prove there is an industry-wide labor shortage, then the county would work with the extended dates of completion. “I’m still hopeful that by the end of the month we will have substantial completion so the building will be available for our intended use,” Ahmed said. Lendlease, the construction management company, is now forfeiting $3,000 per day in liquidated damages for missing the July 31 completion date on the $39 million Delaware County courthouse. Officials have reported that the project is $184,500 short of the guaranteed maximum price for the project. This entry was tagged Courthouse, delaware county, Lendlease. Bookmark the permalink.